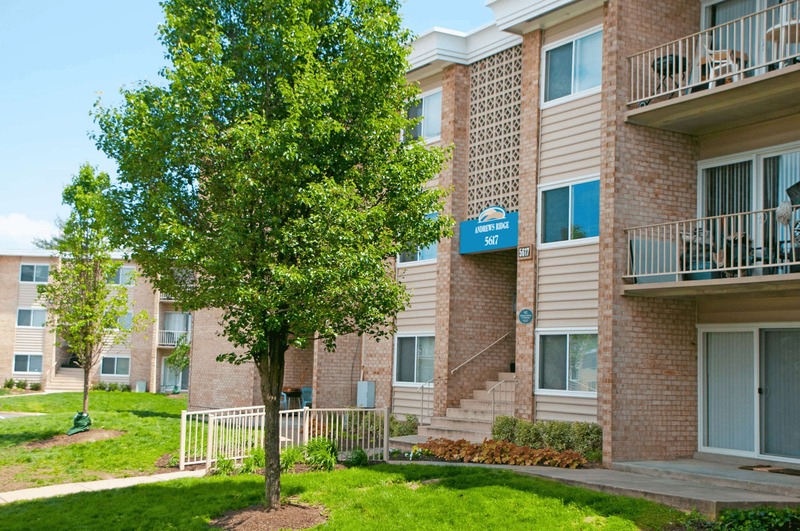 Transwestern’s Bethesda, Maryland-based Mid-Atlantic Multifamily Group, led by Co-Directors Dean Sigmon and Robin Williams, today announces it brokered the disposition of Andrews Ridge apartments in Suitland, Maryland, for $59.5 million, or $120,935 per unit, to a confidential buyer. Transwestern represented the seller, a joint venture between Angelo, Gordon & Co. and The Donaldson Group LLC, in the transaction. Andrews Ridge has undergone nearly $15 million in capital improvements. Exterior and common area renovations include the addition of a new standalone leasing center and clubhouse with fitness and business centers, as well as updated roofs, facades, patio enclosures, laundry rooms, playgrounds and landscaping. Additionally, the property recently completed a conversion of the utility infrastructure in which the aging central plant was replaced with high-efficiency, individually metered electric heat pumps. Interior unit renovations include new kitchen cabinets, appliances, fixtures, bathroom vanities and flooring. With these renovations, the property has demonstrated the ability to capture monthly rental premiums of $150 to $210 per unit. Andrews Ridge is a garden-style apartment complex consisting of 492 units. Located in the Joint Base Andrews region of Prince George’s County, the property offers easy access to major employment centers with close proximity to the Capital Beltway, Suitland Parkway, Pennsylvania Avenue (Maryland Route 4) as well as nearby Largo, National Harbor and downtown Washington, D.C.
Angelo, Gordon & Co. is a privately-held registered investment advisor dedicated to alternative investing. The firm was founded in 1988 and currently manages approximately $27 billion. We seek to generate absolute returns with low volatility by exploiting inefficiencies in selected markets and capitalizing on situations that are not in the mainstream of investment opportunities. We creatively seek out new opportunities that allow us to remain a leader in alternative investments. We have expertise in a broad range of absolute return strategies for both institutional and high net worth investors. Our dedicated team of employees has enabled us to deliver consistent, positive returns over 27 years in all market environments. We have built our name on our breadth of talent, intensive research, and risk-averse approach to investing. Our long-term experience gives us the insight and patience to turn our vision into profitable, stable businesses. Angelo, Gordon is headquartered in New York with offices worldwide in Europe and Asia. The Donaldson Group (TDG) provides its broad and diverse client-base with comprehensive services & expertise in: Property Management, Asset Management, Accounting and Financial Management, Investment, Underwriting, and Acquisition Analysis, and Rehabilitation and Construction Management Services. Since 2003, TDG has advised its clients on the acquisition of over $1.5 billion in real estate investment transactions, has executed over $300 million in construction and renovation work, and has assisted its clients in disposing of over $1 billion of real property investments. During this period, The Donaldson Group has taken over management of over 28,000 units. 34 U.S. offices and assists clients through more than 180 offices in 37 countries as part of a strategic alliance with BNP Paribas Real Estate. Experience Extraordinary at transwestern.com and @Transwestern. For updates from the Mid-Atlantic region, follow @TranswesternDC.